UNITED NATIONS, Jul 21 2009 (IPS) - In India, many moons ago, nobody dared talk about toilets – a subject that was taboo, particularly at mealtime. Those who were employed to clean toilets were treated as “untouchables” and designated “human scavengers”, says Dr. Bindeshwar Pathak, who has been named winner of the 2009 Stockholm Water Prize. “They were not allowed to mingle with other people or have social interaction, and they were hated, humiliated and insulted,” he told IPS. In pre-independent Indian society, a person born an untouchable would die an untouchable, said Pathak, founder of the Sulabh Sanitation Movement. But things have dramatically changed in the world’s second most populous nation (1.1 billion and ranking next to China with 1.3 billion) which still has over 600 million people without access to a toilet. Pathak, who was the recipient of the U.N.’s Renewable Energy Award last month for developing low-cost toilet technology to produce energy out of human waste, credits his Sanitation Movement with motivating and educating people to change their mindsets towards toilets and scavengers. “My innovations had tremendous impact on the environment, health and well-being of millions of poor in India,” he added. The United Nations says that more than one billion people worldwide still lack access to safe drinking water, and 2.5 billion don’t have basic sanitation facilities. But under the U.N.’s Millennium Development Goals (MDGs), developing nations are expected to halve the proportion of people lacking water and sanitation by the year 2015. In an interview with U.N. Bureau Chief Thalif Deen, Pathak said India will hopefully achieve the MDGs by 2015 and total sanitation coverage by 2020. IPS: The U.N. says that to meet the MDG sanitation target by the year 2015, about 173 million people worldwide will need to gain access to sanitation each year between now and then. Do you think this target can be reached? If not, why? BINDESHWAR PATHAK: In my view, India will achieve its target because now it has developed an affordable and sustainable technology, and methodology to implement the programme, but I am somewhat doubtful about some countries that have not developed technologies suitable to their socio-economic conditions. No country can achieve the target if they are thinking in terms of sewerage and septic tank systems. We have trained professionals from 14 African countries on Sulabh Sanitation Technologies and I hope these countries will try to come up to the expectations of the Millennium Development Goal. IPS: How severe is the problem of sanitation in India? BP: Because of the technologies developed by me and the creation of awareness and motivation amongst the people and the government, the coverage has gone up to 63 percent in urban areas and 57 percent in rural areas. And because of India’s huge population burden, more than 600 million people still do not have access to a toilet. But very sincere attempts are being made by the government to achieve the target, now that they have appropriate, affordable and sustainable technologies and also a favourable level of awareness amongst the community, thanks to the efforts of Sulabh. I am fully convinced that at the present rate, India will resolve the problem in the foreseeable future. IPS: What was your innovation and what impact did it have on poor communities in India? BP: I innovated, invented and developed two technologies for disposal of human waste. In European countries, USA and Australia, the septic tank and sewerage system were adopted on a large scale. Both technologies are costly in construction and maintenance. Therefore, they could be adopted only in few towns of Asia, Africa and Latin America. In India, septic tanks found favour with a small percentage of the urban population. From 1870 to 2009, out of 5,161 cities/towns, only 232 are sewer based. Therefore, defecation in the open and use of bucket toilets were prevalent. No houses in rural areas had toilets and in urban areas, the bucket toilets used to be cleaned by human scavengers, regarded as ‘untouchables’ before India’s independence. IPS: How did this change? BP: In 1968, when I came on the scene, the coverage of sanitation was only 15 percent in urban areas. I studied the implication of installing sewerage and septic tank systems and came to the conclusion that by these technologies, neither defecation in the open nor scavenging could be stopped. With the help of two studies and application of my mind, I developed two technologies – one for the conversion of bucket toilets into Sulabh toilets (twin-pit, pour-flush, compost latrine)/construction of new Sulabh toilets in the houses which lacked one, another for public places like bus stands, railway stations, tourist and religious places, etc. IPS: How widespread is the new technology? BP: Because India was in need of appropriate technologies, it gradually started being adopted and has now been accepted throughout India on a large scale. Even the government and international agencies have appreciated these technologies. It has created a tremendous impact. In India, it is not that only poor have no toilets, but even the rich don’t. In the four decades following the construction of the first lot of Sulabh toilets in India, more than a million households have safe and sanitary facilities of human excreta disposal and more than 7,000 public toilets are serving millions of people. More significantly, these technologies have been adopted by the government and other agencies in various states across the country. Today, India is well on its way to achieve the Millennium Development Goal on sanitation. IPS: What role has the Sulabh Sanitation Movement played to improve public health and also provide toilets to the millions of people who lack adequate sanitation in India? BP: Sulabh adopted the approaches of software and hardware. It taught and motivated people about how to use toilets and also provided them in individual houses and public places. So far, 54 million toilets based on Sulabh design have been constructed throughout India. Sulabh played a catalytic role amongst the government, local-bodies and beneficiaries. Sulabh workers motivated beneficiaries, interacted with municipalities and thereafter constructed the toilets, if required. Sulabh also served the community by constructing and maintaining public toilets, run on “pay and use” basis. The land and fund were provided by the local authority. Its maintenance was done by Sulabh usually for a period of 30 years. 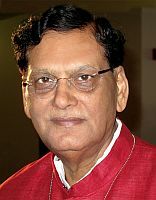 Sulabh maintained high ethics, morality and integrity; therefore Sulabh’s credentials became very high. The impact of Sulabh Sanitation Movement on the health and productivity of the community has been very significant. India’s infant mortality rate was more than 150 (per 1,000 births) at the time of independence. Today, it is less than 60. Mortality from infectious diseases has come down significantly and life expectancy of people has risen from 47 to 62.